Novo Nordisk has announced another strong set of results, aided by strong sales of their diabetes drug, Victoza. The company’s net profit for the second quarter increased by 26% to 6.73 billion Danish kroner (equal to roughly $1.20 billion), while sales grew 10% to 21.38 billion kroner. The organisation’s group of modern insulin products, including Levemir and NovoRapid contributed a total of 9.63 billion kroner, a rise of 12%. Human insulins remained the same at 2.78 billion kroner, while oral antidiabetic products increased 4% to 681 million kroner. Victoza’s (liraglutide) sales increased by 25% to reach 2.88 billion kroner. Novo Nordisk noted that Victoza now has a 69% market share in the GLP-1 segment, compared to the 64% share the drug had in May 2012. 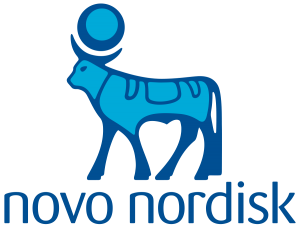 Among the major products in Novo Nordisk’s biopharmaceuticals business, sales of which grew 6% to 4.77 billion kroner, NovoSeven climbed 4% to 2.54 billion kroner, while the growth hormone Norditropin increased by 3% to 1.48 billion kroner. Chief executive Lars Rebien Sorensen commented that he is pleased with the results and added that Novo Nordisk have raised their sales and earnings forecasts for the full year.